I’d heard that Fortune Palace in Raleigh has a pretty authentic Chinese food, so we went out for lunch over the weekend. We skipped to the last few pages of the menu – the Chinese menu (rather than the Americanized Chinese food) – and ordered 1 appetizer and 6 entrees to share among seven people. – It was all right; the key to this dish is that it should be served cold, and unfortunately ours came out at room temp. It had plenty of flavor, though. – Another memorable dish. 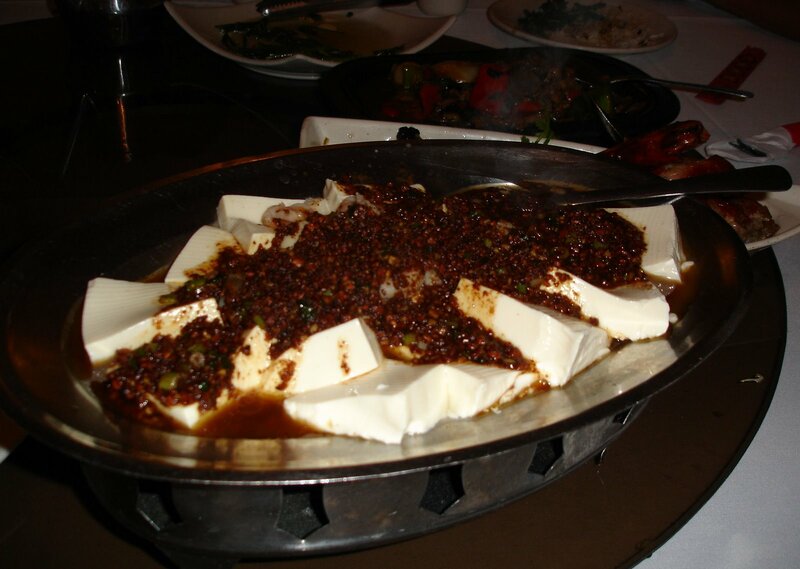 The crispiness of the soy crisps complemented the soft tofu very well, and the flavoring was done just right. 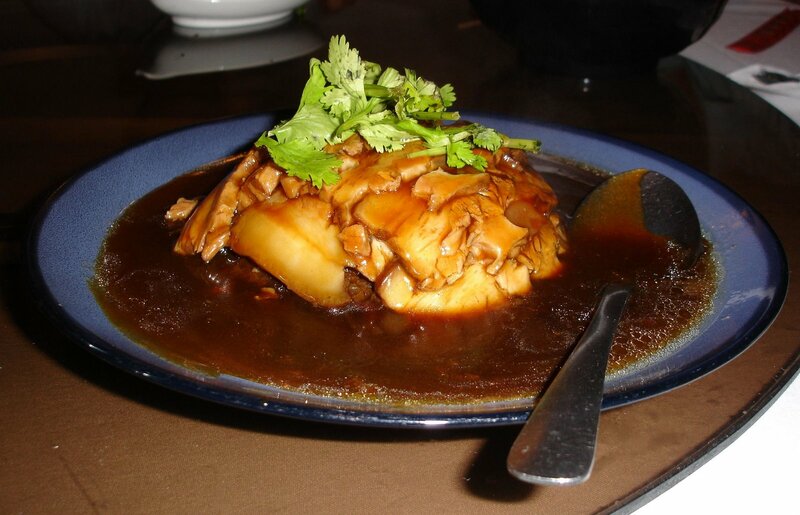 Also, the whole concept of using 豆酥 just seems extremely creative to me. – My favorite dish of the entire meal. 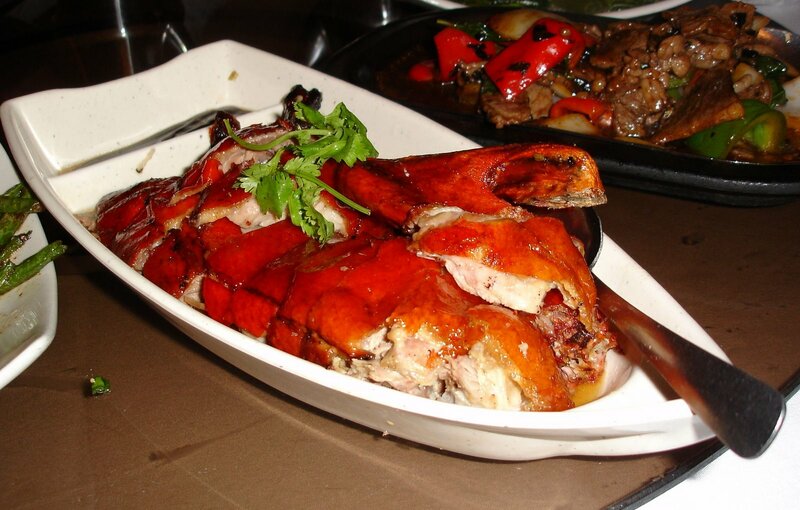 I love roast duck, and I am picky about it because I’ve tried it at so many places. The skin was thin and slightly crispy, and the meat was tender and juicy. Just perfect. My recommendation: eat it without the sauce. 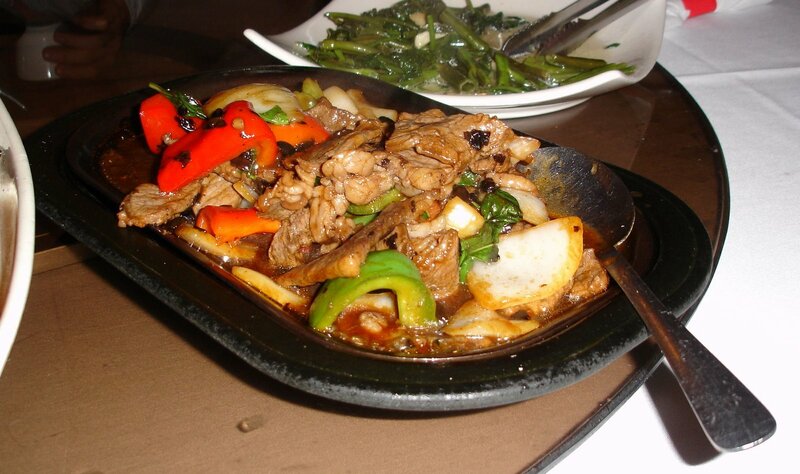 – This dish came with the steam and sizzles, like any typical sizzling platter – but that was about it. It actually had somewhat of a Thai taste. The beef was pretty tender, but overall it wasn’t that memorable. – This was pretty interesting. I couldn’t figure out how they got their green beans to become all wrinkled – whether they fried it for a long time or boiled it first. But either way, I think the green beans lost some of their chewiness. 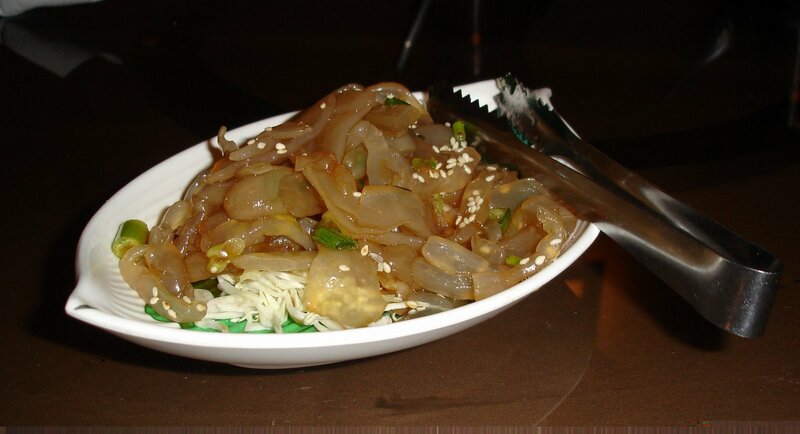 The shrimp taste is definitely there – tastes almost like it was made with dried shrimp. 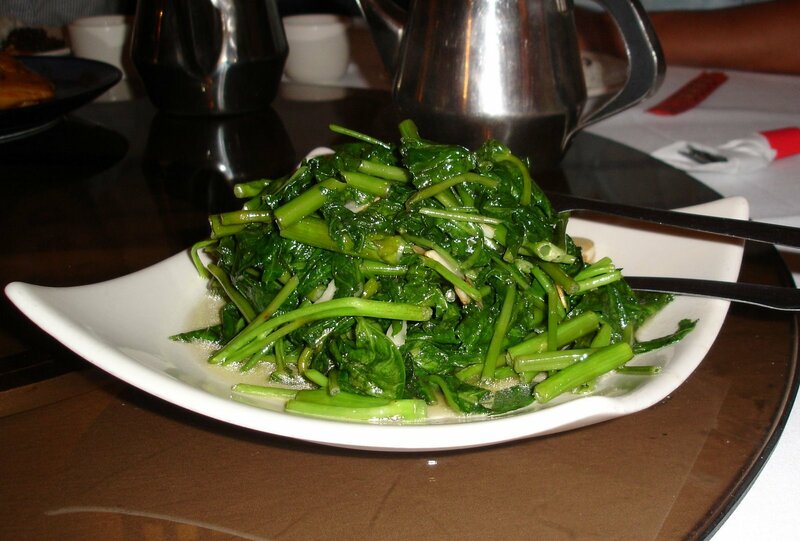 – A typical vegetable dish, stir-fried with garlic – good, light complement to the entire meal. Overall, our group enjoyed the meal very much, although their portions were quite small – especially compared to 35 Chinese Restaurant’s portions. Seven people were not full, even after ordering so many dishes. 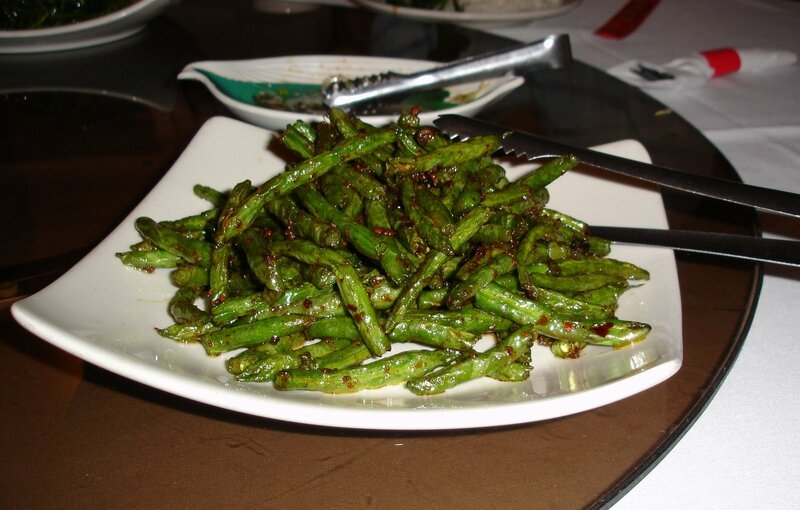 Compare the photo of their string beans with the string beans from 35. Two pictures say two thousand words. However, they do have an advantage over 35 in that they are not as oily in their dishes. I did like their food, though, and I do hope to go back and try some more dishes, if not only to have the roast duck again. Worth a go. Previous Post: « Veggie burger adventure? !